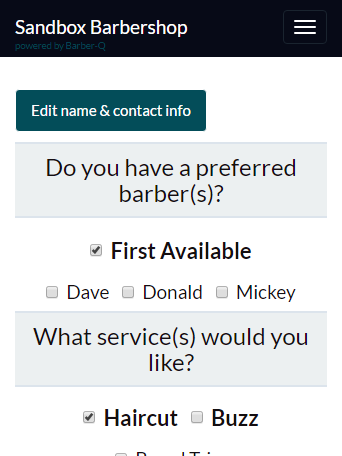 Web Check-ins enable customers to join the waitlist and track their progress from home, the office or while running errands, making a trip to the barbershop easy and pain free. 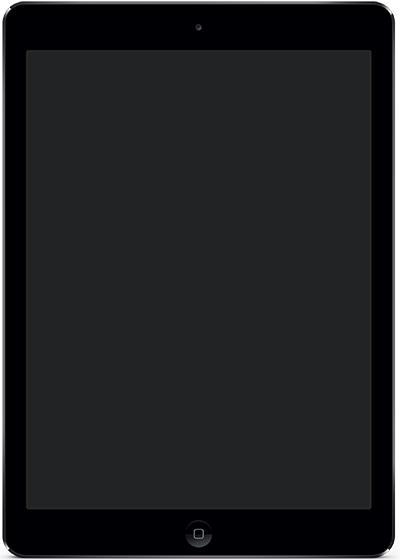 Web Check-ins can be accessed from any web connected smartphone, tablet or computer. 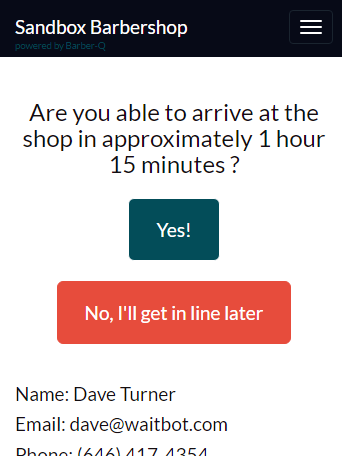 Your digital receptionist, the In-store Kiosk provides an alternative to overcrowded waiting rooms. 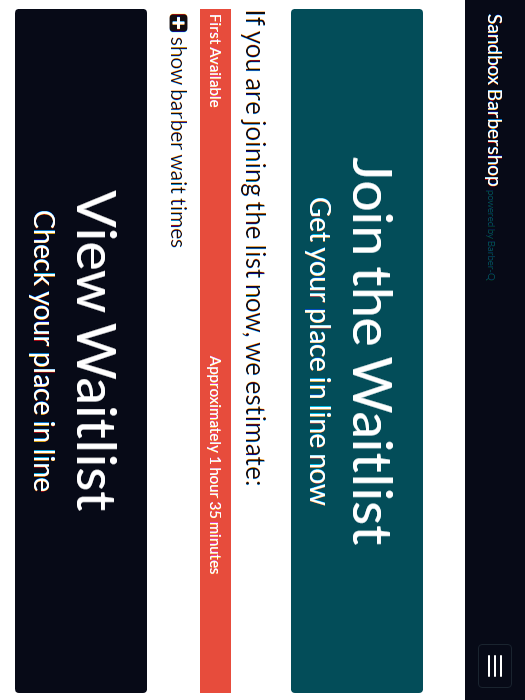 Walk-ins can join the waitlist then grab a coffee or beer nearby. 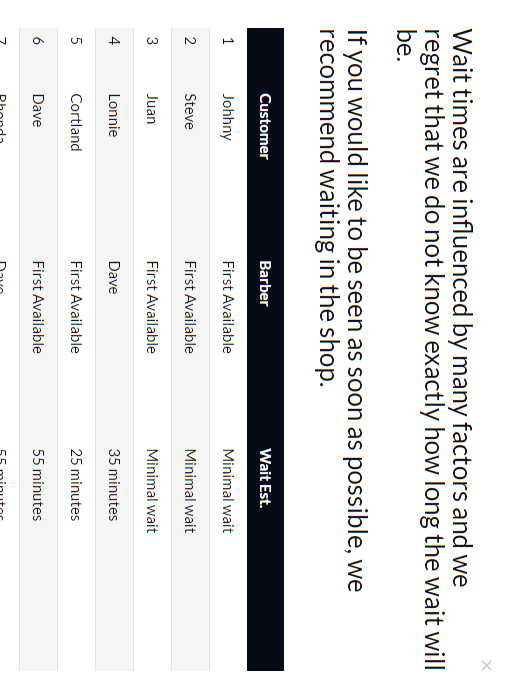 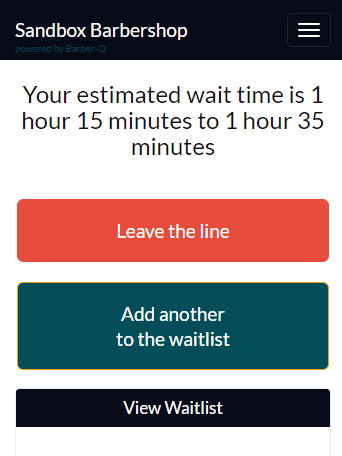 The In-store Kiosk also displays a real-time waitlist with wait time estimates for those curious bees waiting at the shop. 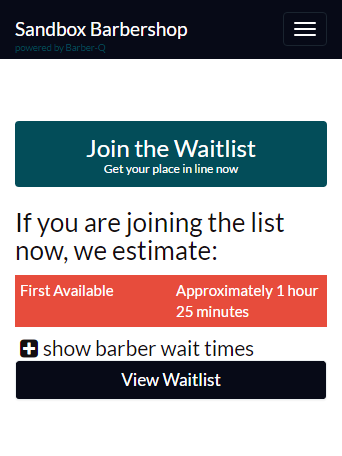 Text customers, move customers up and down the waitlist, set barber shifts and services, and much more with the Barber-Q Waitlist Manager. 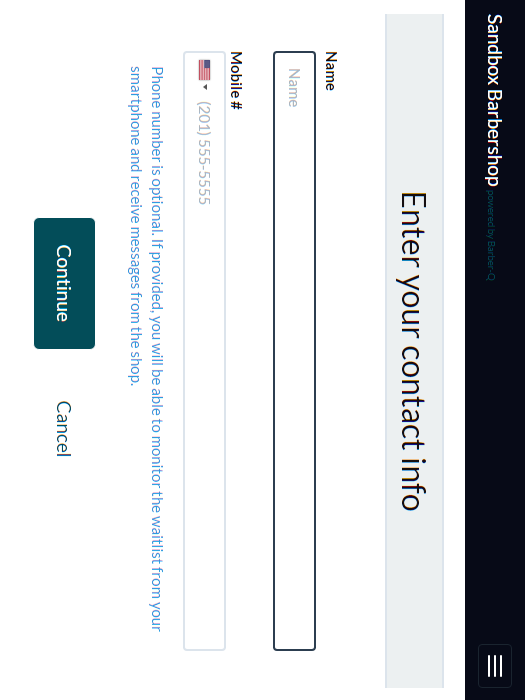 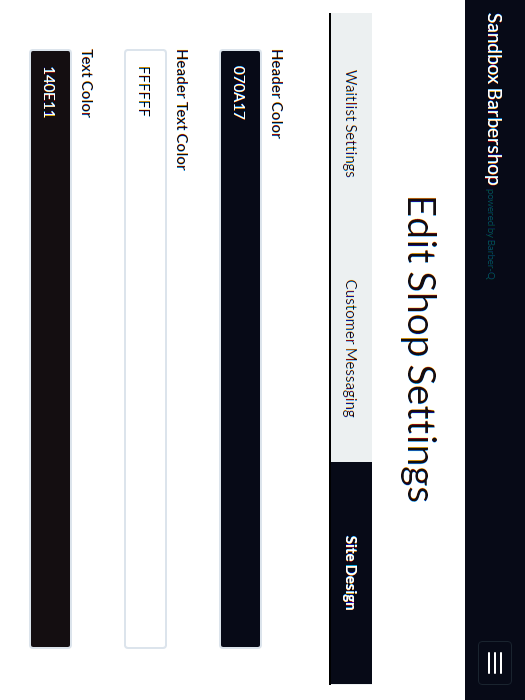 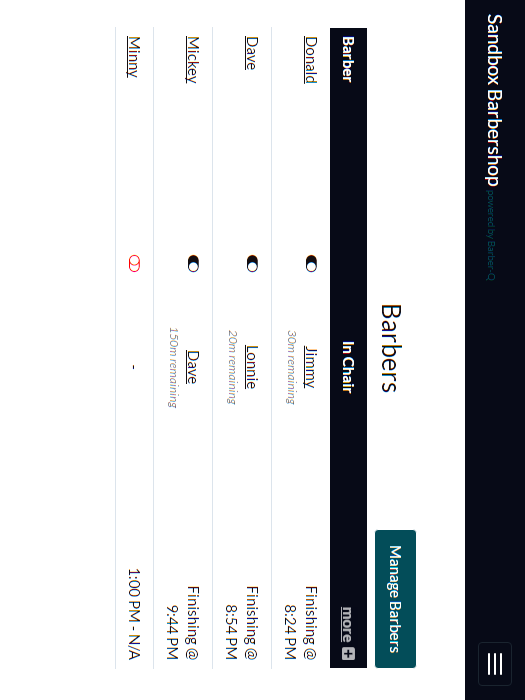 You can also view reports, set waitlist rules, and customize the look and feel of Barber-Q. 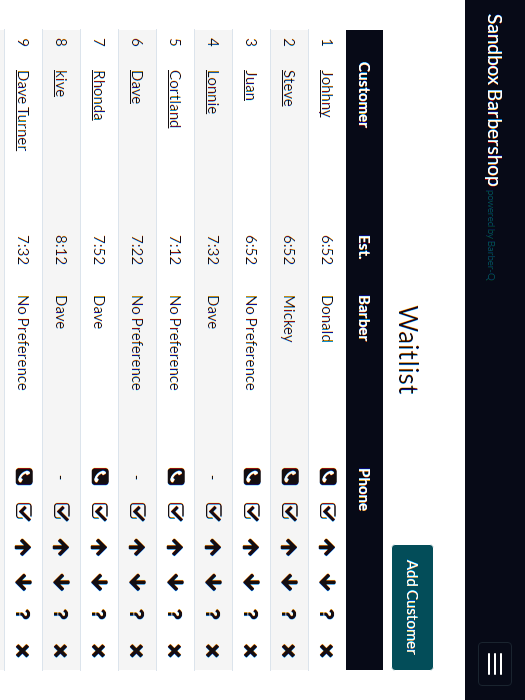 The waitlist manager can be accessed from any web connected smartphone, tablet or computer. 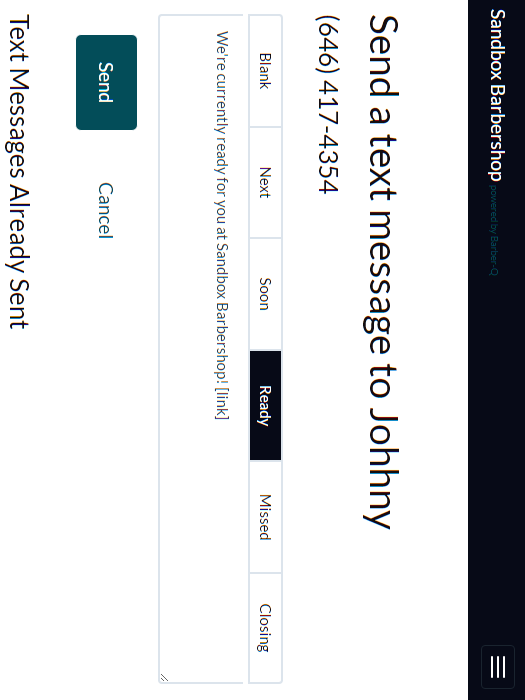 Confirmation Code: Text me again!